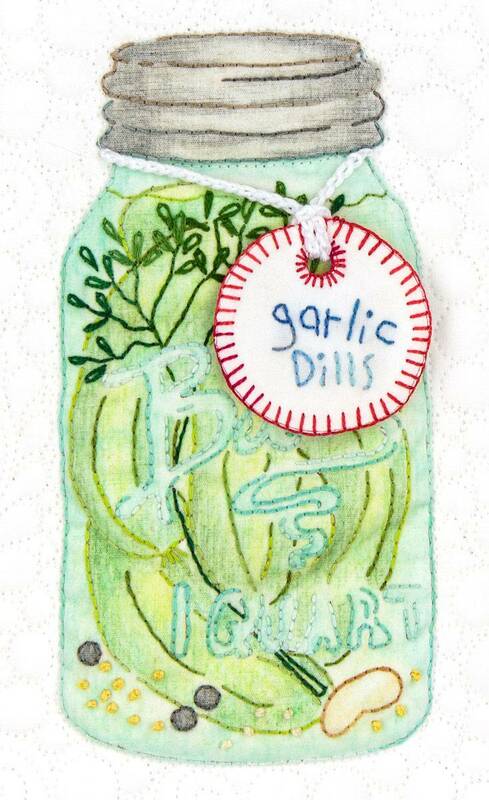 I can remember getting up early to pick the perfect little cukes before it got hot… then the scent of vinegar, dill, and garlic, filling the kitchen. A lot of work, but SO worth it! 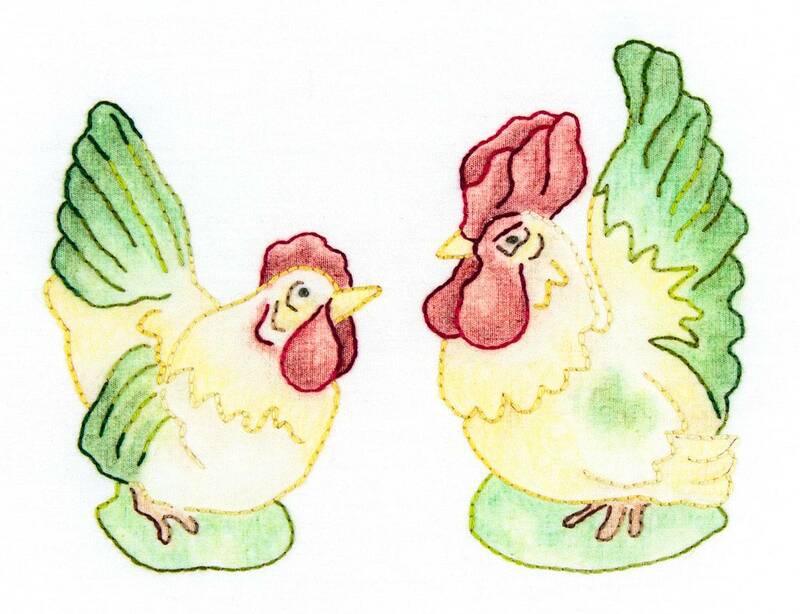 The rooster and hen salt & pepper shakers?... They just look so cute next to the pickles! Design is hand embroidered and colored pencil tinted. The tag is stitched separately and will be attached after quilting so it can hang free from a cord. Pickle jar measures 3” x 6”, and the Chickens measure about 5 1/2” x 4”.